New Delhi: The country’s largest real-estate developer by market value, DLF Ltd, said it has fired some of its employees and put on hold some of its residential, commercial and hotel projects, because of a slump in real estate demand and liquidity crunch. /Content/Videos/2008-11-19/1811_DLF_KP singh_MINT_TV.flv5b2f5624-b57f-11dd-aece-000b5dabf613.flv“We must have laid off some employees somewhere," DLF chairman K.P. Singh said on the sidelines of the India Economic Summit organized by the World Economic Forum in New Delhi. He didn’t disclose the number of employees retrenched. Last month, while announcing its second quarter results, DLF denied that it had retrenched any of its employees. DLF’s net staff strength came down by 10% at the end of the quarter to 3,500 employees, but the company said this was due to voluntary attrition. “Close to 350 people chose to leave us but that was natural attrition and not layoffs. People tend to look for other job options after increments," Rajiv Singh, vice-chairman of DLF, had said on 31 October at a press conference held to announce its results. On Tuesday, the company also said that some of its projects have been deferred. “Hotels, residential and commercial projects are all deferred because of lower demand and liquidity crisis," he said. “Demand has gone down so substantially that projects are being shut down across the country." Singh said the real estate industry was in a tight liquidity crunch. “The key thing is how to prime demand," he said. “The monetary needs of developers needs to be taken care of." Earlier, at the Summit, finance minister P. Chidambaram said the hotel, airline, automobile and real estate industry should cut prices to boost demand. Responding to this, Singh said real estate prices are already down. 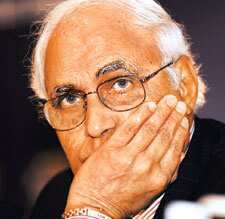 “Price correction is a question of demand and supply," Singh said. “When cost of input materials such as steel and cement come down, prices will automatically come down." Real estate prices in property markets of Gurgaon, Noida near Delhi had gone up by as much as 100-200% during the real estate boom of 2005-2007. Prices of homes have since fallen by 10-15% in some pockets of Gurgaon and Noida due to a fall in demand, according to real estate consultants. DLF’s net profit for the second quarter ended September declined by 4% against the year-ago period. Its shares have fallen 81.7% from a high of Rs1,225 on 15 January. Shares of the company fell 3.18% to Rs224.10 on the Bombay Stock Exchange on Tuesday. The benchmark index Sensex was down by 3.81% while BSE realty index, an index of 14 realty stocks, was down 3.59%.